SBA 7a loans can be used to buy, build, rehab, or refinance commercial real estate. The 7a loan can also be used to finance the purchase of a business, and or equipment. The interest rates are adjustable and the loan maturity for commercial real estate is 25 years, business acquisition and equipment may have a 10 year loan maturity. Because the 7a loan program will finance up to 90% of the commercial property purchase price, this program offers the small business an opportunity to use maximum financial leverage and a 25 year amortization periods insures the lowest possible monthly payments. The SBA 7a program offers adjustable interest rates. The rate is set by the bank lender based on a certain margin over the current bank Prime Rate. The margin over the Prime Rate may vary between lenders. The typical rate for commercial real estate maybe as low as Prime +1, and for a business purchase or equipment the rate may be Prime + 2.50 to 2.75. This loan does not have lender loan fees; however the SBA charges an "SBA Guarantee Fee" which depending on the size of the loan the SBA Gurantee Fee could be between 1.5% to 2.5% of the loan amount. Currently under SBA guidelines the maximum loan limit for SBA 7a is $5,000,000. If you are considering SBA financing you should take early steps to obtain "Prequalification". This will consist of a brief review of your financial records and a quick check of the SBA size standards. Once considered prequalified you will be provided with a Prequalification letter that you and your commercial broker can use in the offering process of your purchase transaction. Obtaining SBA financing can be a very challenging project. At SoCal Mortgage Company, we make it easy for you with our prompt, personal service. We only work through SBA Preferred Lender Banks. This insures that your transaction will be handled in a fast and comprehensive manner. SBA lenders appreciate our “SBA loan packaging” custom designed to best present your transaction to the potential lender. Each SBA lender is just a little different from each other lenders, through our years of experience we know which lender is the best match your transaction. Congratulations to Jake Esperanto owner of Stand-Dur Steel Products. 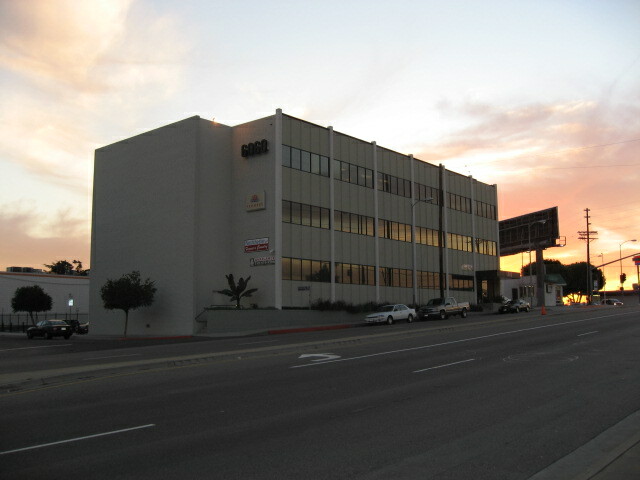 SoCal Mortgage Co. arranged SBA 7a financing for the purchase of a 4000sf warehouse building. Please call Mike Richardson to discuss the current SBA loan market, truly one of the bright spots in today's restrictive economic climate.